Download our GRE Cheat Sheet! We tutor students in the GRE in Boston, NYC and online. 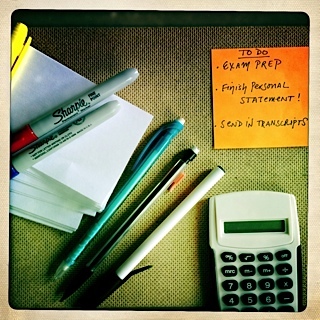 Simplify the Test Preparation Process with The GRE Cheat Sheet. Our GRE Cheat Sheet simplifies the test preparation process for you. As you dive into the quantitative sections of the GRE, your head might be swimming with information. Beween all the formulas, equations and test strategy, how do you know what's worth remembering and what will actually show up on the GRE? Written by GRE tutors, the answer is at your fingertips, in the GRE Cheat Sheet. We cut your workload in half by putting all the key formulas and equations in one place. Our tutors have seens countless GRE problem sets and practice questions, so they know exactly what you need to study to do well on test day. 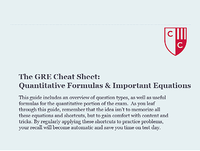 Download the GRE Cheat Sheet Today!